With a firestorm raging online among his critics for more than a week, the influential Sydney, Australian pastor of the 30,000-member Hillsong Church finally issued a statement Thursday night (or late Friday morning his time) regarding allegations that he was promoting "Chrislam." "The spirit of the message was exactly the opposite of what some critics are claiming. If you listened to the message in its entirety, my point was that; who a Muslim extremist believes God is, determines what they believe God does, and what they believe God loves," Pastor Houston insists in the statement, titled "Correction of Misinformation," which can be read in full below. Houston attributes his remarks about Muslims and Christians serving the same God made during the 2013 sermon, titled "Living for the Master's Well Done, Part 1," to a flubbed delivery. He also expressed doubt that critics would accept his clarification. "Those propagating these false statements have taken one sentence from an entire message out of context. I realize that some critics WANT to believe their interpretation, but my prayer is that reasonable people will take my comment in context, accept my acknowledgment that I did not explain this sentence as I intended, and judge me on 40 years of pointing people to Jesus – not one sentence," explains Houston, who recently joined U.S. megachurch pastor Bishop T.D. Jakes at his annual Pastors and Leadership Conference in Miami, Fla.
"Do you know – take it all the way back into the Old Testament and the Muslim and you, we actually serve the same God. Allah to a Muslim, to us Abba Father God. And of course through history, those views have changed greatly. But let's make sure that we view God through the eyes of Jesus, the grace of the Lord Jesus Christ, the beauty of a Savior, the loving open inclusive arms of a loving God. And that way we'll lead out of that and you'll be purposeful about your leadership and you'll draw people just like the Lord Jesus always does through the power of the Holy Spirit." Critics have been questioning Houston since early last week when videos of his sermon started circulating. Houston's accusers claim his remarks on Muslims and Christians indicates that the Assemblies of God leader preaches a Gospel other than the Christian one. "If Brian Houston does indeed preach the Christian gospel as he claims, then he would know that the Muslim and Christian faiths are incompatible," states the Hillsong Church Watch website in a viral post on Houston's sermon. "But we know that he can't preach the Christian gospel because he doesn't know it. Brian Houston's comment is just as offensive to Muslims as it is to Christians and is essentially doing more unjust damage to both faiths." The "watch" website, part of several self-declared discernment blogs targeting high-profile Christian leaders and their churches and ministries, states that it was started by "a group of concerned leaders, pastors and elders from various denominations around Australia on Facebook." While Islam acknowledges Jesus as a prophet, the Quran denies His deity as well as His crucifixion, an event essential to the Christian teaching on salvation. Despite other theological conflicts, such as the Christian confession of Jesus as the Son of God, advocates of "Chrislam" insist the two faiths are compatible. Rick Warren, pastor of Saddleback Church in Lake Forest, Calif., also has been denying allegations for years that he practices or promotes the syncretistic teaching of "Chrislam," a movement which reportedly started in the 1980s. Warren, calling the allegation "a lie that won't die," occasionally points concerned supporters to documents meant to clarify his fidelity to the Christian faith. Hillsong Church, founded in 1983 by Houston and his wife, Bobbie Houston, welcomes about 30,000 worshipers every weekend at 11 campuses scattered around the world, with a 12th in Los Angeles in development. 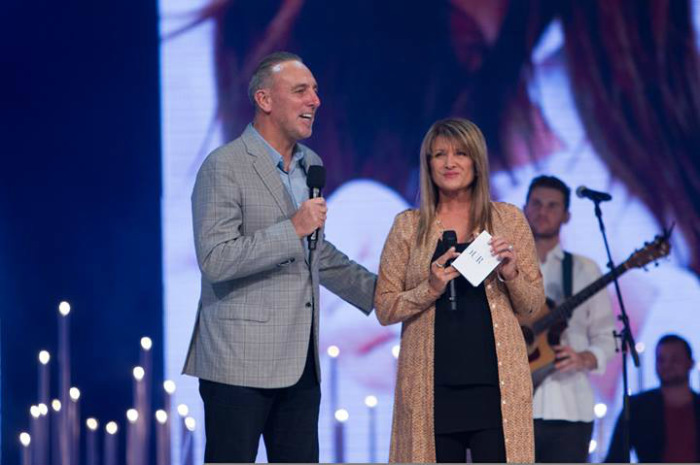 In Australia, Hillsong has six campuses and twice as many extension services. The megachurch, also known for its mega-popular and award-winning worship band Hillsong United, states that its mission is "to reach and influence the world by building a large Christ-centered, Bible-based church, changing mindsets and empowering people to lead and impact in every sphere of life." The Houstons, whose Hillsong Church is affiliated with the Australian Christian Churches (the Assemblies of God in Australia), have three adult children, also involved in ministry.